By guest author Gabriel Biderman. You may recognize Gabriel if you read my recent article in Digital Photography School – Lighting Ratios to Make or Break your Portrait. 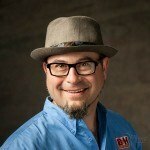 A portrait I took of him at the Google Plus Conference for Photographers was a perfect example for that article. We got talking and we both expressed a fascination with night photography and he agreed to write an article for us. . Thanks Gabriel for being such a willing test subject and for some great night photography tips! One of the benefits of the digital revolution has been the ease in which we can now take more successful night photographs. The instant feedback and access to cleaner high ISO's make the learning process easier, and the success rate higher. 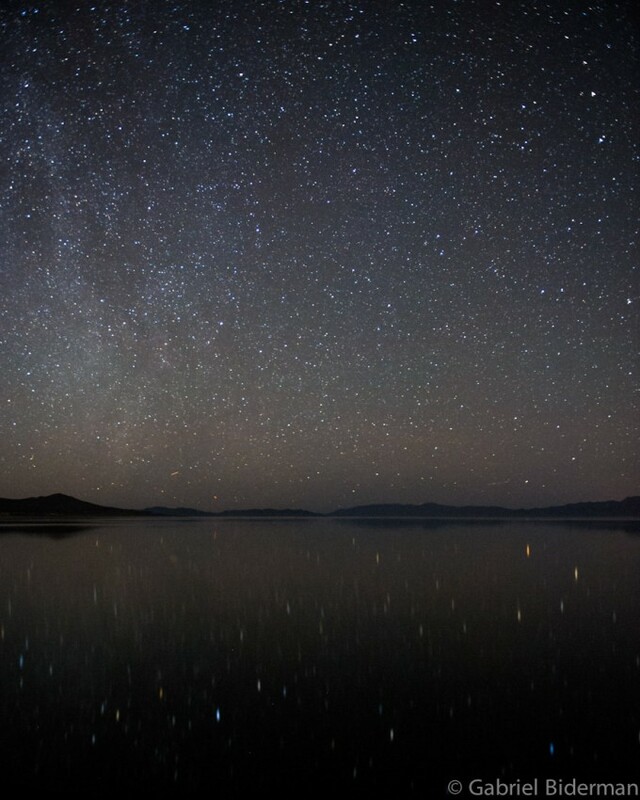 I've been fascinated with photographing the night for over 10 years, and in this article will focus on how to successfully capture a celestial night. DSLR camera – preferably a CMOS sensor from the last 2 years, they don't heat up as much as the CCD sensors and offer cleaner images at high ISO ratings. A lens and lenshood – the lens is your preference, but I tend to shoot a wide focal length, 21-35mm, because it gives me the option to include more of the sky. Don't forget your lens hood as you can get plenty of flare from street lamps and even the moon! Tripod – besides the camera, the tripod is the second most important piece of gear for night photography. Investing in a solid one will make all the difference. If you tend to walk around a bit at a location, the lighter carbon fiber tripods are worth their weight in gold. Cable release – SLR cameras can only go up to 30 second exposure times, but most (if not all) have a BULB function for infinite length exposures. The cable release enables you to create exposures longer than 30 seconds, and that's when the fun starts. Cable releases (sometimes called a remote trigger) are camera specific so make sure you purchase the right one for your camera. There are plenty of other accessories and modifiers that will also help enhance your night work but the camera, lens, tripod, and cable release are the mandatory Holy Trinity of the night! Humans have been fascinated with the night since the beginning of time. The feelings that the night evokes of mystery, fear, and awe have been interpreted by many painters, writers, and now photographers. There is plenty of fun stuff to do with neon signs and city lights, but the real magic of night photography happens when you get out of the aura of the city and work under the true night sky. 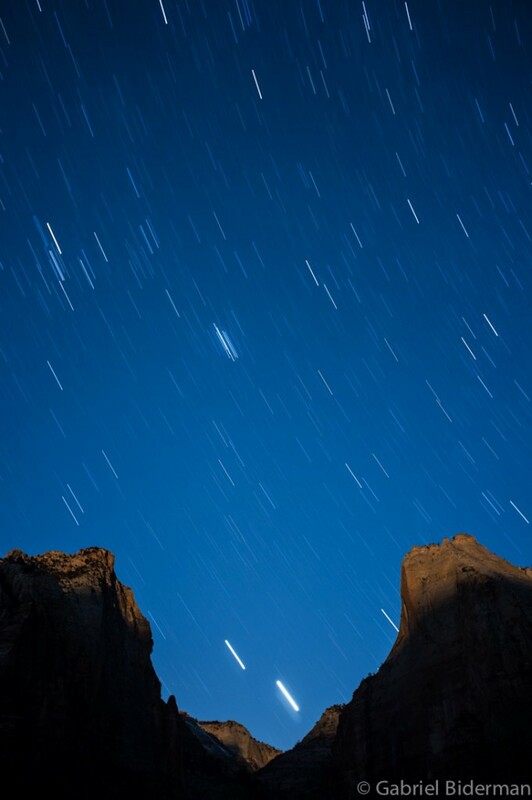 When you ask someone to imagine a night photograph – often they will think of those dramatic circular star trails. But I want to focus on a different type of star capture in which the stars do not trail. The star points create more of a realistic and celestial feel. It really hasn't been until the last 3-4 years that we have been able to successfully capture a star point sky. 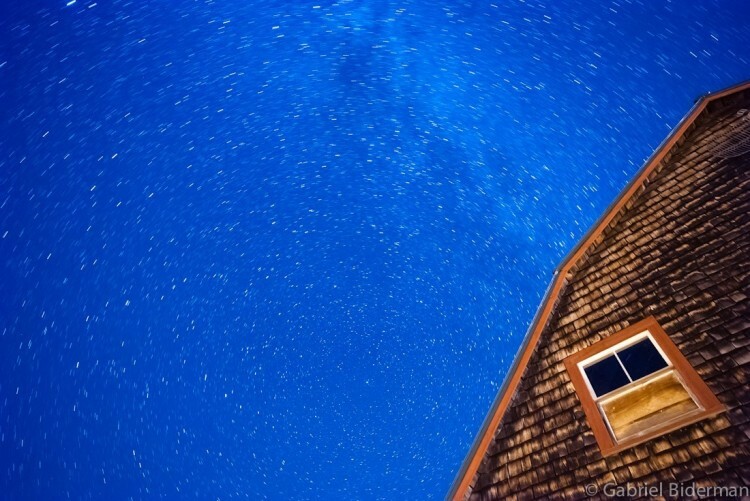 This Van Gough style of starry nights is the way our eyes see the night, but oftentimes our cameras need longer exposure times to capture the night sky, and this results in star trails. What we are battling here is the earth's rotation. Obviously we don't feel the earth’s constant movement, but when our exposures extend over 30 seconds the stars will start to trail. With recent DSLRs, we are able to successfully shoot a fairly clean 1600 and 3200 ISO and now we have access to the stars’ points. So how do we successfully capture stars? A typical exposure is going to be around 3200 ISO, 30 second shutter speed, and f2.8 to f4 – but you want to consult the 600 rule first. The 600 rule is an equation that will tell you the proper shutter speed for your camera/lens choice. If your DSLR is a full frame, 35mm format, divide 600 by the focal length of your lens, and the result represents your maximum exposure time, in seconds, before star points start to trail. For example, my preferred night lens is a Zeiss 21mm 2.8 on a Nikon D700. The math for this is 600/21 = 28.57 seconds. A 50mm lens would be only 12 seconds. So you can see the benefit of a wider-angle lens, they can include more stars in the composition, which also take longer to trail. If you have an APS-C sized sensor (any of the non-full frame models), divide 600 by the crop factor of the camera (usually around 1.5 or 1.6m check your camera's manual if you aren't sure or use 1.5) to figure out your new starting point. Nikon, Sony, and Fuji are 1.5x and Canon is 1.6x so it would be 400 or 375 respectively. 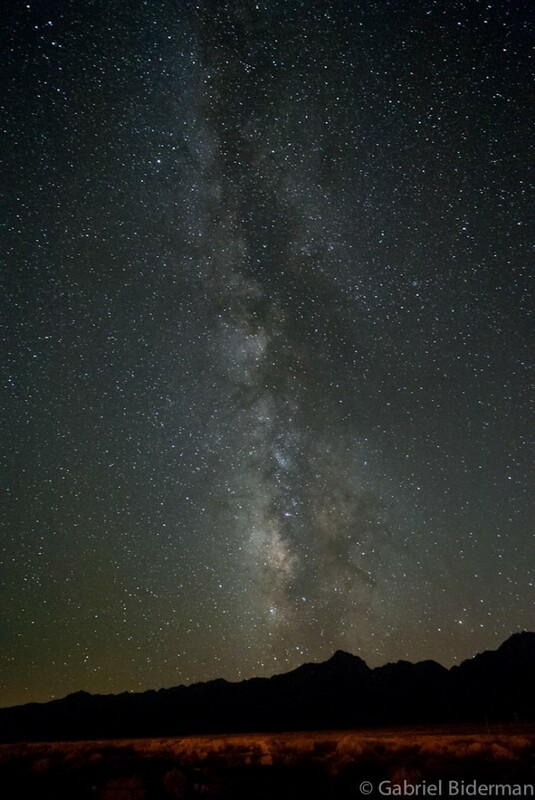 Then do the same equation – my Fuji X-Pro 1 (factor of 1.5x) with a 18mm 2.0 lens would be (600/1.5 or 400)/18 = 22.22 seconds, the time before stars start to trail. When choosing an exposure, during the day or night, there are three factors that control exposure: ISO, shutter speed, and aperture. I recommend shooting in Manual Mode and utilizing the in-camera meter to help you choose the proper exposure. Knowing that my maximum exposure is 22 seconds I can then adjust my ISO and Aperture accordingly. My X Pro 1 is incredibly clean at 1600 so I have no problem selecting that ISO or even 3200. I like to stop down at least one aperture from the widest opening to increase depth and sharpness. It is always good to familiarize yourself with your camera and lenses before shooting at night. Do a high ISO test: do a series of shots at ISO 400, 800, 1600, 3200, and 6400. Make sure to include some sort of shadow value in the image and then view them at 100% on your computer. When does the colored noise start to make an appearance in the image? That’s the maximum ISO you would want to use. Images just of the celestial star points tend to be boring – find an interesting foreground and incorporate it into your image. 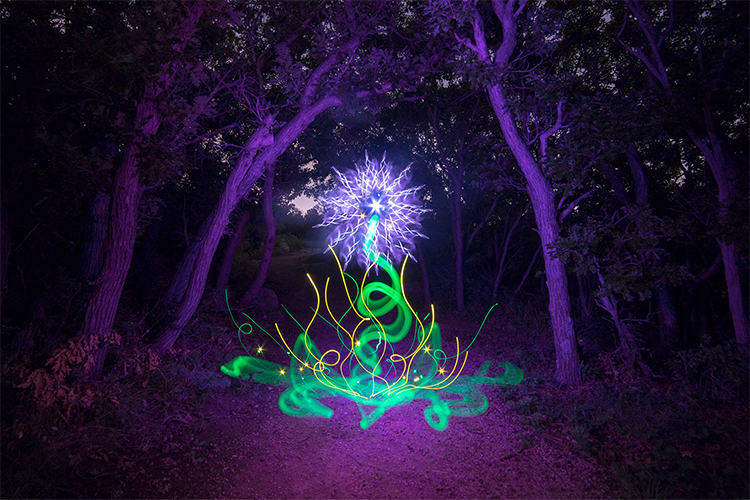 The foreground will often be silhouetted unless you can light paint it. Placing strong silhouettes like mountains and buildings will lead the viewer around your brave new celestial world that you have just created. 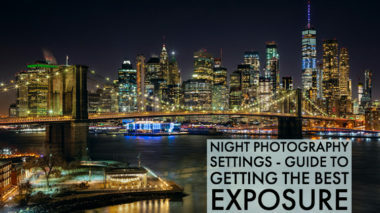 For more tips on night photography follow Gabriel Biderman at ruinism.com or take a workshop at a historic NY location. Thanks again Gabriel for some great tips on night photography! So what are you going to do with this new knowledge? Get out there and use it I hope! 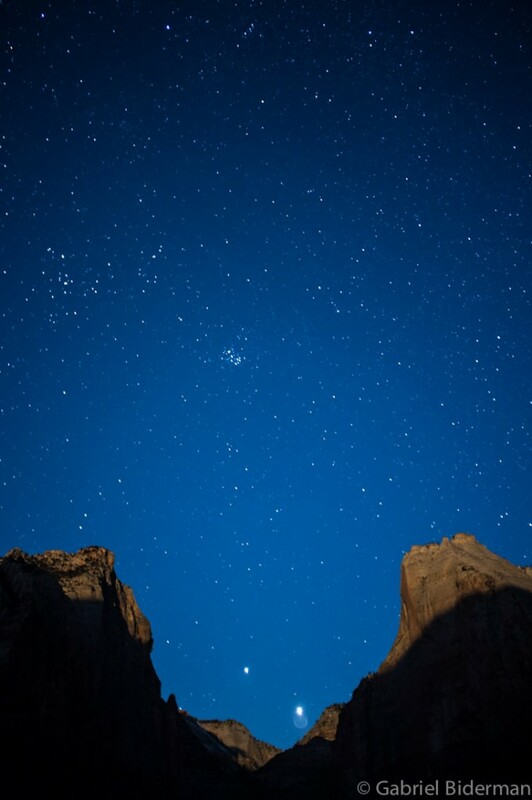 Go take some night photography shots and come back and share them with us. Tell us if you used Gabriel's tips and how they worked out for you. I look forward to seeing your images!